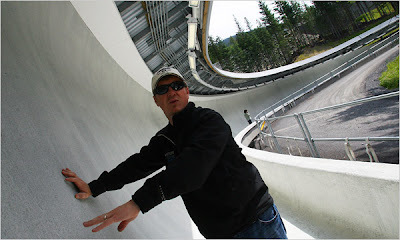 Tracy Seitz at the Whistler Sliding Centre in the summer of 2009. Tracy Seitz leans against a railing. From his perch midway up Blackcomb Mountain, he overlooks Whistler Village in a stunning valley vista framed by nature with mountains as a backdrop. On a warm June afternoon, he is alone save for a visitor and a young male black bear, who, as our sports truck’s engine roared on the way up, barely glanced from his solitary forage. The warm air was still. Only the chirping of birds could be heard from this crow’s nest. How different it all would be in just seven months. Spectators in their thousands will cheer from bleachers. Television cameras will capture the spectacular view, an image certain to thrill broadcasters and a worldwide audience. The athletes for whom this vantage point was constructed will be too busy to sightsee. They will be concentrating instead on the icy path they face and the few, fleeting milliseconds that will be the difference between infamy and glory. As he rested at the start area for the bobsleigh, skeleton, and men’s luge, Seitz traced the winding course in the air with a forefinger. All the crooked twists and turns follow a perilous drop here that will give pause to even the bravest daredevil. Like the black tees for professionals on a golf course, or the launching pad at Cape Canaveral, this is not for the faint hearted. In a competition preceding the Winter Olympics, a luge athlete set a course record of 153.98 km/h (95.68 m.p.h.). A fellow could get to Vancouver in a hurry at that speed. The athletes careening at such breakneck speeds do so atop a ribbon of artificial ice no thicker than two fingers pressed together. The responsibility for maintaining this slippery surface falls to Seitz and his crackerjack crew of scrapers and groomers. He is the ice meister of the Whistler Sliding Centre, a demanding job for which there is no quitting time. The ice always demands attention. He has been doing this rare job for so long, has become so familiar with minute differences in ice quality that he judges the quality of the ice not with his eyes, but with his ears. Seitz, who turns 40 later this year , discovered the sport that would become his life’s calling as a teenager in his Calgary birthplace in 1988. After the Games, a younger brother asked to be taken to the venue. 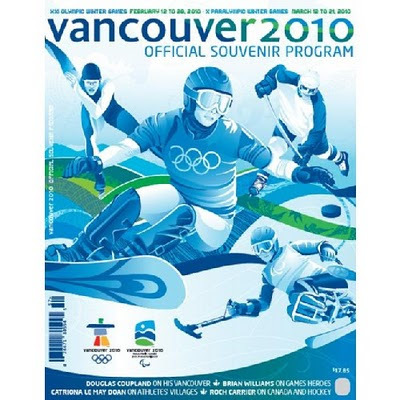 In time, Tyler Seitz became an Olympian and won a bronze at a luge World Cup event on his home track, the first Canadian man to win a medal at the highest level of the sport. Seitz served as track master at Bear Hollow for the 2002 Salt Lake Olympics, a difficult task at high altitude, as it seemed to him “like we’re almost touching the sun, it’s so hot,” he told a reporter at the time. He belongs to one of the world’s most exclusive fraternities, as only a handful of technicians take on the arduous task of ice preparation. Among his counterparts for the Vancouver Olympics is Kameron Kiland, who will have spent two years preparing the ice at the Pacific Coliseum for figure skating and short-track speed skating. Kiland hails from Kelvington, the Saskatchewan town known as “Canada’s hockey factory.” He learned his trade preparing hockey rinks and curling sheets across the prairies. Humidity, temperature and the impact of spectators on both can lead to condensation and frost, ruining even the best ice. Back at the sliding centre, Seitz says his goal is the same — to ensure the ice is as good for the last competitor as it was for the first. “For us, it all depends on what Mother Nature brings to us.” The run is set on Blackcomb’s southeast slope, exposing it to the midday sun. The air is thick with humidity, an unavoidable presence in the midst of a rain forest. Nor does Seitz want the ice to be too cold, lest it become brittle, breaking up as a competition progresses. In summer, the snaking, 1,450-metre long run is about as interesting as a dry culvert. In winter, when the ice is right, it will be a spine-tingling ride through intimidating curves nicknamed “Shiver” and “50/50” (because only half the sleds got through it during a World Cup run). No Zamboni fits on this ice, so a crew scrapes away with handmade tools. He likes to stand along the track, cocking an ear for what to him is a happy rumbling sound. The sound he does not like is silence. Silence means a sled is in the air. It means his ice is not performing as well as it should. What he wants to hear is the steady roar of a speeding sled, interrupted only by cheers and cowbells. Always more cowbell. 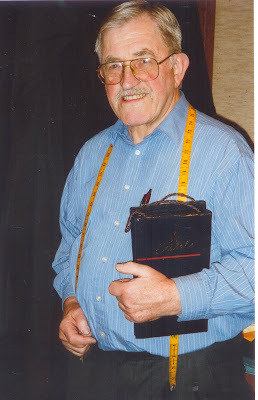 The tailor Tony Zeilinger had British Columbia's legal market all sewn up. Tony Zeilinger faced more judges than even the most recalcitrant of scofflaws. Pins between his teeth, a measuring tape draped regally around his neck, chalk and scissors at hand, the master tailor outfitted the cream of the province’s legal community. The Austrian-born clothes maker mashed his consonants like fellow countryman Arnold Schwarzenegger. Mr. Zeilinger operated his shop with good humour, his wisecracks bringing a smile to the sternest jurist while putting at ease nervous customers only recently called to the bar. He provided tabs, shirts, skirts and waistcoats, as well as the robes whose cut and style seem unchanged through the centuries. The proprietor was aware many citizens did not share his opinion of his customers. The tailor considered his humble outpost part of a centuries-old tradition launched by such esteemed firms as Ede & Ravenscroft, founded in London in 1689, which created robes for the coronation of their Majesties William and Mary. At the time, in early 1992, the tailor’s robes cost from $415 for a modest wool blend to $1,600 for Ottoman ribbed silk. A Zeilinger innovation involved extending a judge’s vent in the seat, eliminating those undignified moments on the bench when m’lord squirmed to be freed of a trap of his own unintentional construction. He was born in Treubach, a village on the German frontier in Upper Austria. He grew up in the nearby hamlet of Maria Schmolln, which included a church built on the site where a man claimed the Virgin Mary saved his life. The faithful have made pilgrimages there for more than 200 years. Mr. Zeilinger liked to note the hamlet has but one church, though it boasts six pubs to slake the thirst of visitors. “I think the pilgrims preferred to drink than to pray,” he said. The son and grandson and great-grandson of tailors, he began his own apprenticeship at age 13. Though his corner of Austria avoided many of the deprivations of the war, he remembered Allied fighter planes strafing his village. He continued his education in the craft in Salzburg and Vienna before hopping a freighter in 1954 to see the world. He got off in Australia. In Melbourne, a young German immigrant named Ingeborg Tutlat, who had been working as a nanny and a waitress, brought her slacks to him for alterations. They married and started a family. In 1967, eager to see the Rocky Mountains, the couple travelled across the Pacific by freighter. Mr. Zeilinger soon found work with the tailors and bushelmen at Matz-Wozny. The shop had been founded in 1955 by master tailors Erich Matz, a postwar German immigrant, and Albert Wozny. (Mr. Matz died eight years ago at Samon Arm, B.C., aged 95.) Mr. Zeilinger became a co-owner in 1972, eventually taking over the company until his retirement two years ago. A lucrative and happy trade involved the preparation of “silks” every year for those lawyers named Queen’s Counsel. Tradition demanded these honoured lawyers replace their wool robes with elegant ones of hand-cut silk. In 1994, Elizabeth Bennett earned the coveted QC designation, though she would be a rare Vancouver lawyer not to call on Mr. Zeilinger’s services, she told the Vancouver Sun’s Larry Still. She intended to use the silk inherited from her late father, a piece of clothing with which she was familiar, as he had allowed her to wear it as a child when she wished to canvass for candies on Halloween as Dracula. Last year, Madam Justice Bennett was appointed to the B.C. Court of Appeal while presiding over the political corruption case involving the sale of B.C. Rail. After the founders retired, Mr. Zeilinger resisted the urge to rename the shop after himself. Some customers already thought he was the eponymous proprietor. Anton (Tony) Zeilinger was born on June 28, 1930, at Treubach, Austria. He died of heart failure on Feb. 3 at Vancouver. He was 79. He leaves Ingeborg (nee Tutlat), his wife of 47 years; a daughter; and, two grandchildren. Kevin O'Shea played with the Buffalo Sabres and the St. Louis Blues in three NHL seasons. 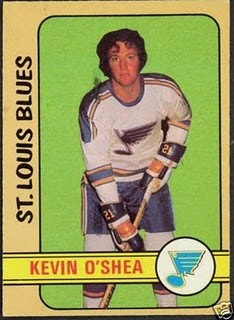 Kevin O’Shea was a hard-nosed forward who scored one of the most dramatic goals in the history of the St. Louis Blues. The overtime goal in Game 7 of a 1972 Stanley Cup quarterfinal series earned the rugged checker a place in the lore of the Blues. The excitement of the moment was captured by the call of play-by-play announcer Dan Kelly, which has been rebroadcast over the years in St. Louis. By firing the puck past Cesare Maniago for a 2-1 victory, Mr. O’Shea eliminated the Minnesota North Stars. His own team was then steamrolled by the Boston Bruins, who swept the series in four games before going on to win Stanley Cup. The overtime drama was the highlight of a hockey career that included three seasons in the National Hockey League. “The goals were few and far between,” Mr. O’Shea told the St. Louis Post-Dispatch in 1989. 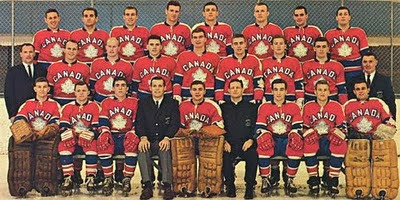 The 6-foot-2, 205-pound right winger skated for Canada’s national hockey team in 1968-69, gaining a reputation as a ruffian for a game during the world championships in which he flattened a Swede behind the goal and then did the same to another hapless player on his way to the penalty box. His rugged play earned him a spot on the roster of the expansion Buffalo Sabres in their inaugural season, during which coach Punch Imlach preferred to use him in games against the Big Bad Bruins. Mr. O’Shea also played a season with the Minnesota Fighting Saints of the World Hockey Association, a short-lived rival to the NHL. His older brother, Danny, with whom he had played in St. Louis, also skated with the Fighting Saints. In three NHL seasons, he scored 13 goals and added 18 assist in 134 games. He scored two goals in 12 playoff games. He also played minor professional hockey for the Denver Spurs, the San Diego Gulls, and the Phoenix Roadrunners. He completed his career by spending a season in Sweden with the Timra Red Eagles. One of his teammates was a teenaged Mats Naslund, a future NHL star. Of course, Mr. O’Shea led the Swedish league in penalty minutes. After leaving hockey, Mr. O’Shea studied law at the University of Windsor. He established an office in Stouffville, Ont., specializing in labour law. His name was touted as a possible replacement for the disgraced Alan Eagleson as head of the NHL Players Association. The position was eventually filled by Bob Goodenow. 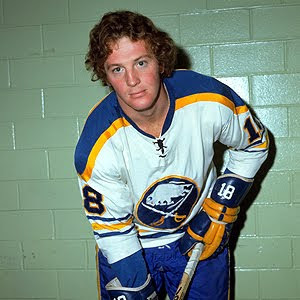 Kevin William O’Shea was born on May 28, 1947, at Toronto. He died of heart failure on Jan. 18. He was 62. He leaves three children. 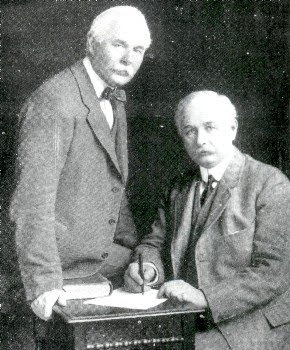 Percy and Ernest Petter made their family name associated with aircraft and engines of all types. Sir Ernest is the grandfather of new Simon Fraser University president Andrew Petter. Andrew Petter taught a first-year law class the other day, a lecture for which he stayed up until the wee morning hours in preparation. Mr. Petter, 56, returned happily to the classroom last year after six years as dean of the law school from which he graduated at the University of Victoria. Later this year, he will become the ninth president of Simon Fraser University in Burnaby. His name is well known in the province, as he spent a decade in the Legislature as an NDP MLA. Mr. Petter held more ministries than a peripatetic preacher — health, forests, finance, seniors, human rights, aboriginal affairs, advanced education, intergovernmental relations, and, appropriately, attorney general. In the take-no-prisoners ethic of provincial politics, Mr. Petter was seen either as a calm, brainy administrator more interested in the common good than in scoring cheap, partisan shots, or as an out-of-his-element elitist brainiac for whom a balance sheet was an insolvable puzzle. His physique and appearance — the lean build of an avid runner and cyclist topped by a shock of silver hair and professorial eyeglasses portrayed by caricaturists as being as large as his face — did little to dissuade anyone of their viewpoint. After his stint in politics, Mr. Petter returned to academia, a public figure about whom most everyone seemed to have an opinion. His political opponents might be surprised to learn the former social democratic MLA hails from a family including a knighted manufacturer and entrepreneur. 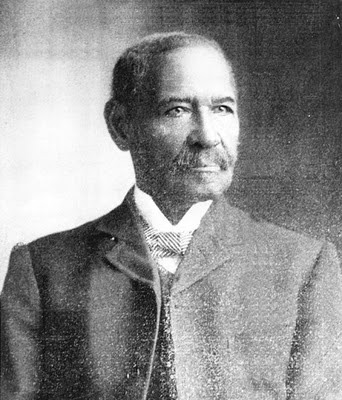 He has had little opportunity to explore his family’s remarkable journey from the south of England to Vancouver Island. “I’m a little dodgy on our history,” he said the other day. The tale begins with Andrew’s great-grandfather, James B. Petter, who received an ironmongery from his father as a wedding gift in 1865. He expanded by purchasing a foundry in Yeovil, Somerset, from which machinery and agricultural implements were produced. Mr. Petter won a design prize for developing a fireplace grate later selected by Queen Victoria for use at her summer residence at Balmoral Castle in Scotland. Twin sons Percy and Ernest joined the firm, developing steam engines with the engineer Ben Jacobs before producing one of Britain’s first horseless carriages. When one of their automobiles failed to win a 1,000-guinea prize in 1897, the brothers abandoned vehicles to focus instead on developing engines such as the Petter diesel and the Petter Handyman. In time, the Petter name would come to be associated with aircraft of all types. Away from the factory, Percy Petter, an evangelist for the Plymouth Brethren, took part in temperance parades. His cause was not helped by his twin’s occasional enjoyment of an ale at a public house. The imbibing brother was sometimes mistaken for his teetotal sibling, causing Percy to be accused of hypocrisy. Sir Ernest Petter, who had been knighted for his role in presenting the British Empire Exhibition at Wembley in 1925, sought a refuge on Vancouver Island as war clouds gathered over Europe. He built a waterfront manor house in Comox, where he employed seven servants, later hiring a nanny to care for the 14 children evacuated from the German Blitz. Sir Ernest later moved south to Victoria, purchasing a grand Saanich home known as Lower Drummadoon, which he renamed Sinclair House. Meanwhile, Sir Ernest’s son, Gordon, married a ballerina met in London while on tour with Gertrud Bodenwieser’s Vienna-based company. In 1946, Gordon and Elizabeth, known as Lisl, and their three children followed Sir Ernest to Vancouver Island. Seven years later, another son, named Andrew, became the first of the family born in Canada. Having lent money to the owner of a local clock repair shop, only to have the proprietor abscond to Australia, Gordon Petter claimed the business as collateral. Young Andrew liked to be in the store on what is now Antique Row on Fort Street at noon, when he would be amused by a syncopated cacophony. “A real treat,” he remembers. Before Christmas every year, the clocksmith called on Government House to service timepieces. During one visit, the chatelaine presented Andrew with a gift of opera glasses. Raised in tony Oak Bay, Andrew’s inaugural foray into politics came at age 10, while still at elementary school. He showed his support for the Conservatives in the 1963 provincial general election by pasting leader E. Davie Fulton’s stickers on an air rocket, which he then launched from the school grounds. No one was injured in the stunt, nor were any Conservatives elected. His father lasted 20 years in the shop, “serving time,” as he liked to say. By 1972, the family had settled in Nelson, where Gordon Petter, an Oxford graduate, taught history at Notre Dame University. Though still a teenager, Andrew hosted a hotline radio show on which he managed to get lure both Social Credit Premier W.A.C. Bennett and NDP leader Dave Barrett, who would go on to win the election. He soon after gave up the radio gig to become an executive assistant in the capital for local NDP MLA Lorne Nicolson, a teacher at his high school. He was just 19. Later would come law school (from which he would graduate top of his class), then studies at Cambridge, a stint with the justice department in Saskatchewan, two years teaching at Osgoode Hall, and a return to the University of Victoria as a professor. Andrew Petter never met Sir Ernest, who died in England not long after his grandson’s birth. It was his parents, who recited Shakespeare to one another, who inculcated in their youngest child the importance of a formal education. Yet, when he flies between Victoria and Vancouver, whether in a helicopter or a floatplane, he knows his grandfather’s innovations contributed to their development. CAMPAIGN HIJINKS: Andrew Petter’s grandfather, Sir Ernest Petter, campaigned for a seat in the British House of Commons in a 1931 byelection in the central London constituency of Westminster St. George’s. He ran as an independent Conservative in favour of free trade within the British Empire in opposition to Conservative leader Stanley Baldwin. Despite enjoying the backing of such press barons as the Canadian-born Lord Beaverbrook, Sir Ernest lost the campaign to Alfred Duff Cooper, a decorated Great War hero. Mitch Pechet shown late in his career with the Calgary Stampeders. The Pechet brothers were farmer’s sons who played hockey together in Manitoba before answering the call of duty. After the outbreak of the Second World War, their father, a Jewish immigrant, called his sons together. “You know what you have to do,” the patriarch told them. All three enlisted in the Royal Canadian Air Force to fight the Nazis. Only two would make it home after the war. Mitch Pechet, the youngest of the trio, played right-wing on a line centred by Sam with Morris on left wing. After games, they’d return home to argue about who neglected to pass the puck to whom. His parents had been grape growers in their native Romania, near the Russian frontier. They abandoned their homeland in 1895, part of a wave of immigration to the Canadian prairie. William and Sophia Pechet found life in Canada to be decidedly less dangerous, if somewhat colder. Over the years, the family accumulated land and machinery from the annual bounty of acres of wheat coaxed from the fertile Saskatchewan soil. 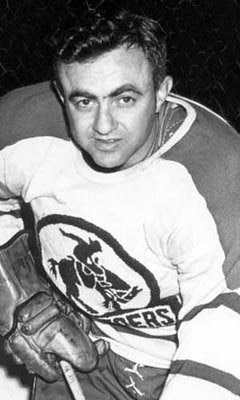 Mitch Pechet showed a deft scoring touch at age 18, when he joined brother Morris on the Brandon Wheat Kings for the 1936-37 season. The 5-foot-8, 170-pound forward scored 16 goals in just 15 games, though his assists total of four hints at a style of play in which he preferred to shoot than pass. An even more impressive sophomore campaign, during which he netted 27 goals in just 14 games, led to his being signed by the New York Rangers of the National Hockey League. He left the prairies to play for the Rangers’ amateur affiliate, the Rovers, who played their home games in Manhattan at Madison Square Garden, a grander and more cosmopolitan venue than the Wheat City Arena back in Brandon. Reluctant to miss ice time, he once played three games despite a serious ligament injury to one hand. He had his wrist strapped to a hockey stick. The speedy winger continued to score goals by the bushel, turning professional in 1940 with the Philadelphia Ramblers. He did not have much of a chance to make an impression in the tough-nosed American Hockey League with the Ramblers and the Pittsburgh Hornets, as he soon swapped his hockey sweater for an air-force uniform. Determined to become a pilot, Mr. Pechet’s training returned him to Manitoba, where he completed programs at Brandon, Verdon and Dauphin. He was later posted to Gimli, Man., also serving at Dorval and Lachine, Que,, before teaching recruits at the No. 3 Service Flying Training School at Calgary. He was “washed out” in his bid to become a pilot after the diagnosis of a vision defect. In December, 1944, the family received word their eldest son and brother was missing after having completed 27 missions. It was later confirmed that Samuel William Pechet, a flying officer, had been killed when his Lancaster crashed into a Halifax during an attack on the rail yards at Soest, Germany. He was 30. Six months later, Mitch Pechet marked his 27th birthday the day before what would become known as V-E Day, as hostilities ended in the European theatre of war. Eager to resume his pro hockey career, he joined the Calgary YMCA to get back into shape for the rigors of a long season. His association with the Y would last more than 60 years, as he daily took part in morning exercises even after turning 90. He spent four seasons with the St. Paul (Minn.) Saints, who won the United States Hockey League championship in 1948-49 under the guidance of coach Clint (Snuffy) Smith (obituary, May 25). Mr. Pechet rarely spent time in the penalty box but on one occasion he was at the centre of a bench-clearing brawl. In a 1948 game against the Minneapolis Millers, hated cross-town rivals, Mr. Pechet was serving a penalty when a fan snuck up to punch him from behind. In the ensuing melee, then entire Saints team wound up on the ice in a brawl. The players were each fined $10 for the transgression. In another game against their rivals that season, coach Murray (Muzz) Patrick sent Mr. Pechet onto the ice armed with a rule book with which to confront the referee. The referee’s response was to skate to centre ice with the compact volume, which he then tore into little bits. Mr. Pechet was reinstated as an amateur so he could play senior hockey with the Calgary Stampeders. He almost single-handedly eliminated the Fort Frances (Ont.) Canadians in an Allan Cup playoff series in 1950, as he scored four goals and an assist in one game and five goals and an assist in another. 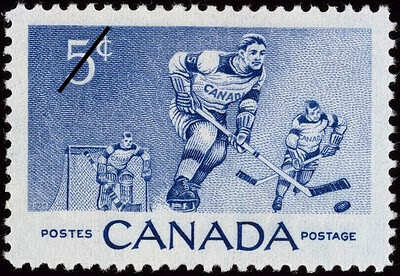 The Stampeders lost the senior hockey championships that season to the Toronto Marlboros, whose roster included a young George Armstrong, a future member of the Hockey Hall of Fame. Mr. Pechet retired from the game after three seasons with the Stampeders. He was later inducted into the Manitoba Hockey Hall of Fame at Winnipeg. Away from the rink, Mr. Pechet became a Calgary restaurateur, operating a dairy bar and restaurant, both of which would be packed after a hockey game. He later ran the Park Hotel and Greenbrier Motor Hotel in Edmonton, as well as the Wales Hotel in Calgary. After moving to Victoria in 1971, Mr. Pechet became a co-owner and general manager of the Victoria Cougars junior hockey team. He would eventually add coaching duties to his job description. Two years ago, Mr. Pechet joined fellow Jewish veterans in a ceremony at the Emanu-El synagogue in Victoria. Decades earlier, they had worn helmets and balmorals, replaced on this day by yarmulkes. When once they ate slop dished from a mess kitchen into a tin box, they dined on a meal catered from a kosher kitchen and served on china. 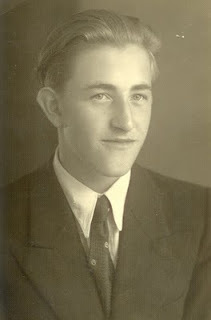 Mitchell Pechet was born on May 7, 1918, at Cupar, Sask. He died on Sept. 30, 2009, at Victoria. He was 91. He leaves his wife, Judy (nee Shapiro); a daughter; two sons; five grandchildren; a great-grandson; and, a brother. 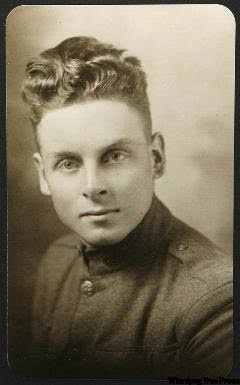 He was predeceased by a son, Sam, and by a brother, Sam Pechet, who was killed in action in 1944.